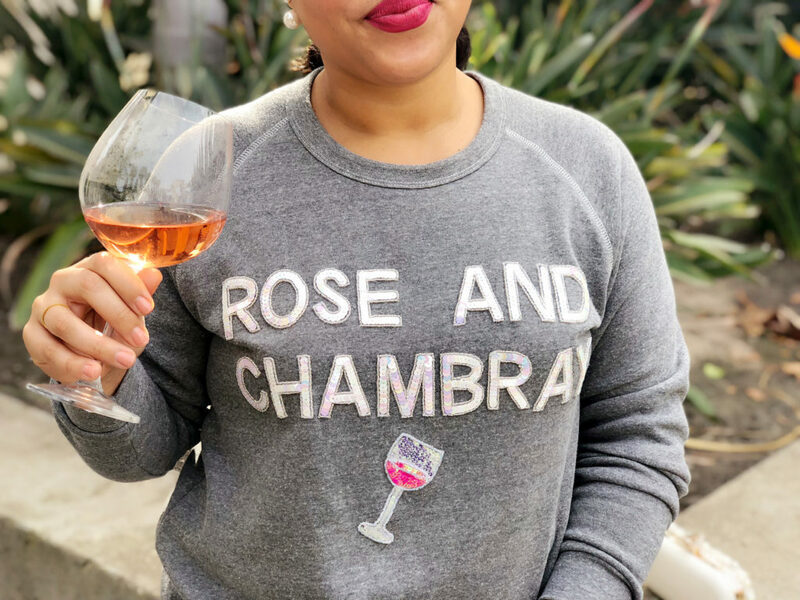 Welcome to Rosé & Chambray’s new monthly series: In My Glass! One of the most frequent requests I’ve gotten from readers over the last few months is to share more of the wines I drink on a regular basis, so this is where I will do that. Think of it as an ongoing, ever-changing list of wine recommendations for millennials! I typically drink 2-4 times per week, and always have a few bottles of wine and liquor in stock in my bar. My mood, what I’m watching on TV, the weather and what foods I’m eating are the main factors that determine what’s in my glass. But let’s be real, price has a lot to do with it, too. Most of the wines I’ll share with you guys will be under $20 a bottle, and the max will be about $50! 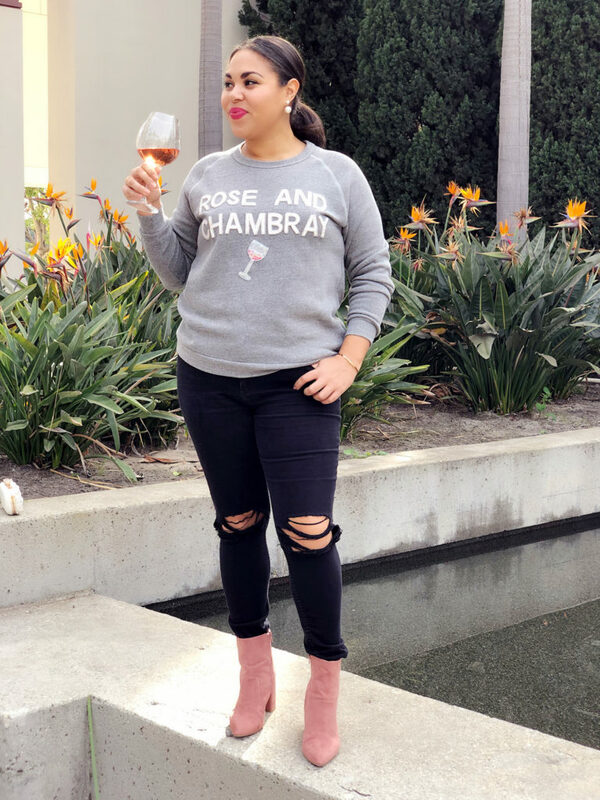 I’ve gotten pretty good at finding quality wines at very reasonable price points (like some of these $5 Target wines or these Trader Joe’s wines), and I’m excited to share all of the good finds (and the bad) with you every month. This month’s sips include a rosé, several Pinot Noirs and a Cabernet Sauvignon! With my birthday, Christmas and New Year’s Eve back-to-back within a span of 3 weeks, this girl was trying to stick to a budget in early January. 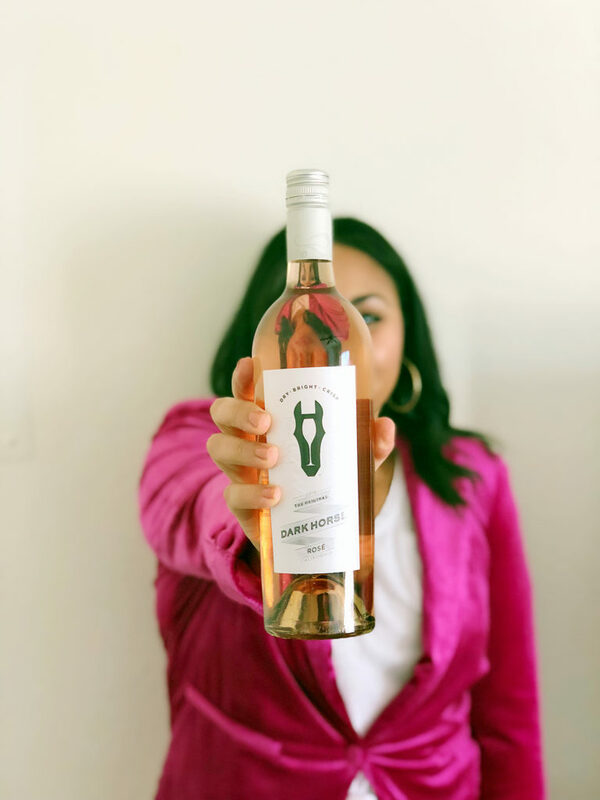 When I saw this rosé by Dark Horse (a brand who has impressive wines under $10) on sale, I was so happy! This dry wine is an easy drinker with notes of strawberry, raspberry and flowers (very bright and crisp, indeed). It’d pair perfectly with a fresh salad, cheese pizza, Mediterranean food, or simply on it’s own. For the price point, this rosé is a steal that I wouldn’t hesitate to recommend. Dare I say, it’s one of my favorite rosés under $10. Get this at your local wine store, Sprouts, or Ralph’s. If you follow me on Instagram, you know how much I love a good Pinot Noir. Pinot Noir is definitely my favorite grape varietal, but it tends to be one of the pricier grapes due to it’s high-maintenance growing needs. A good bottle will typically cost you $20-$50, but recently there has been a lot more options in the $15-$20 price range #bless! I’m not one to buy wines based on the label, but this one was too good to pass up. 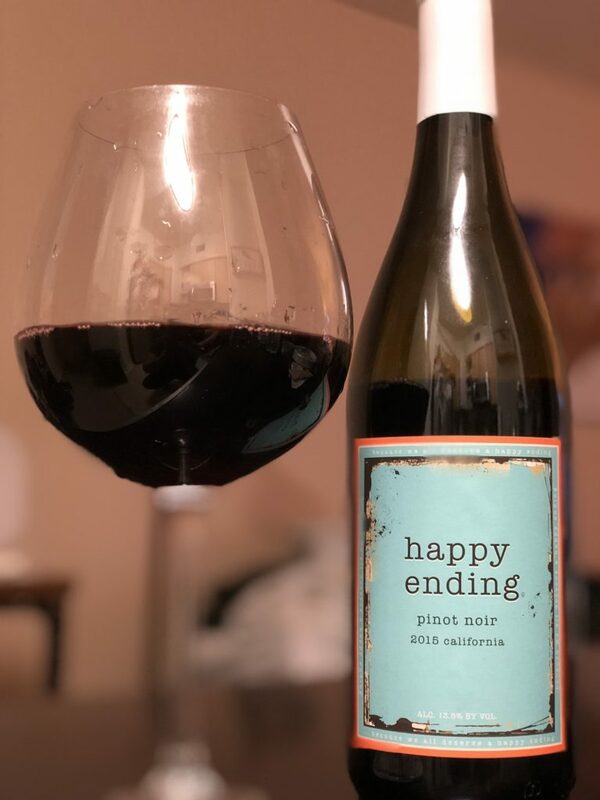 The Happy Ending Pinot Noir was full-bodied and silky smooth with notes of raspberry and cherry! Very easy to drink and was perfectly paired with This Is Us and dark chocolate. Pick this up at Ralphs or your local wine store. I’ve been really into California and Oregon Pinot Noir’s over the last few years, and this one is from one of my favorite wine regions- Santa Barbara. Pinot’s grown in these cooler climate areas tend to produce delicious wines with notes of ripe cherry, strawberry and earthiness. 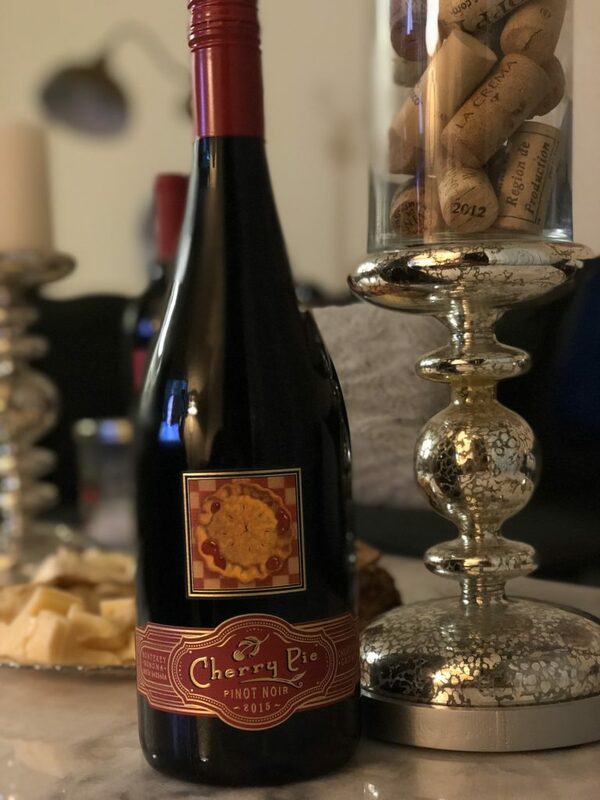 The Cherry Pie Pinot Noir was incredibly smooth, and smelled like cherry, strawberry and truffle. It was dry with medium-high acidity and tasted like sour cherry candy and happiness. I savored every sip of this one, and can’t wait to try it again! Pick this up at Whole Foods. 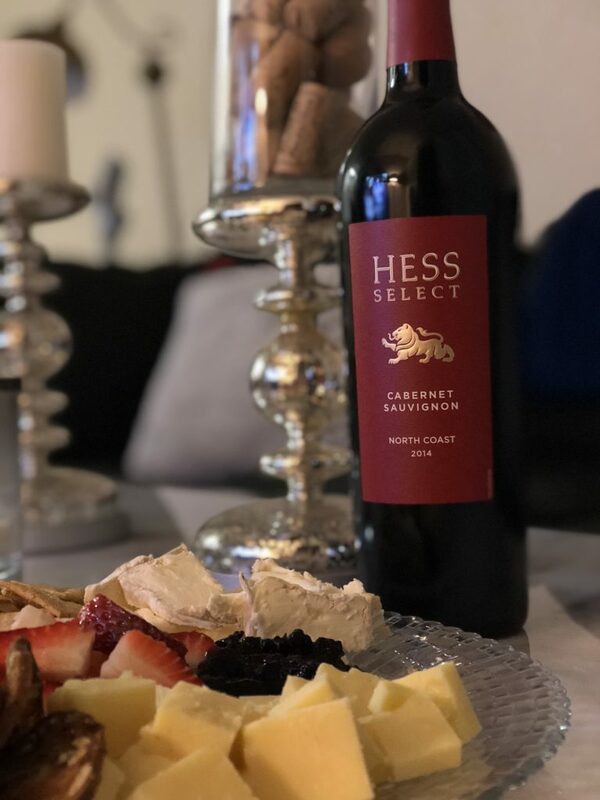 While hunting for a good quality wine for girl’s night, I remembered that my friend Bri from Bri’s Glass of Wine recommended the Hess brand! Since I stopped eating meat over 3 years ago, I’ve found it hard to find Cabernet Sauvignon’s that taste ok without being paired with a steak, but this did the trick. Cab’s can be harsh and tannic, but I found this to be pleasantly smooth! It was easy to drink with silky tannins and lots of body. I got dark red fruits, vanilla and sweet spice on the pallet. This will probably be my go-to cab for the foreseeable future. You can grab this at your local grocery store or Trader Joes! Thanks so much for reading the first of my new series- I hope you loved it! I’d appreciate any and all feedback so that next month is even better. I have to say, my wine drinking habits were a little safe last month, and February is shaping up to be a much more exciting month for my tastebuds and inner wine nerd. Have you tried any of the wines listed in this post? What have you been sipping on lately?! The cherry pie was delicious. Excellent recommendation, Ary! It was so good! Glad you liked it as much as I did. What a great post idea! Can’t wait to follow along each week.